She was also missing her necklace – that part I had noticed before the purchase – and her handbag looked like someone nibbled at one of its corners 😀 I was fully aware I was buying a used doll, but from photo online – taken from afar, I thought it was a used doll coming from a collector, but clearly not. First of all, I gave her a bath and boil-washed her hair. 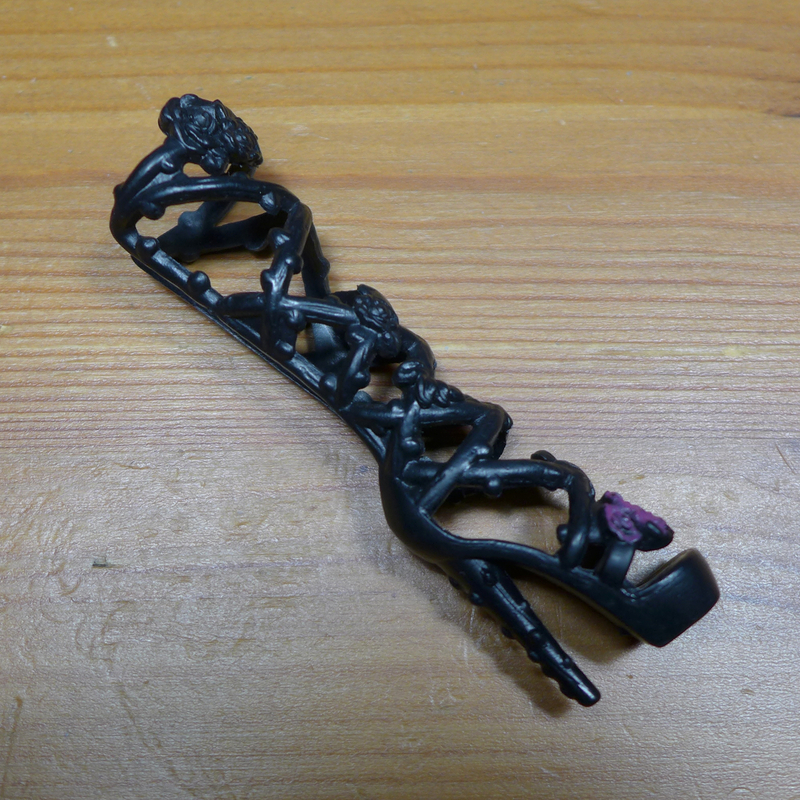 Next, I put the straw curlers in. I followed the advice from this video by JLantis: https://youtu.be/TTi95Z96VG4 . After it dried for two days, I took the straws out. I borrowed my husband’s paints (with permission :)) which he uses to paint his Warhammer and Warmashine minatures and I touched up the dolls’ lips and headdress. I even decided to add in some more detail. A mixture of the colours “Sanguine Base” and “Sanguine Highlight” happened to match her lips perfectly! I also trimmed her ripped hairs as low as I could. Even though there was nothing wrong with her shoes, I went on a painting spree and coloured in some details there as well. As for her necklace, I did not feel like I would be able to recreate the original one, neither did I feel the need to. I took a polymer clay rose, shaded it with the above-mentioned colours and glued it to a ribbon, creating a choker of sorts. It simply ties around her neck. Spending some time working on this doll has helped me really appreciate her. 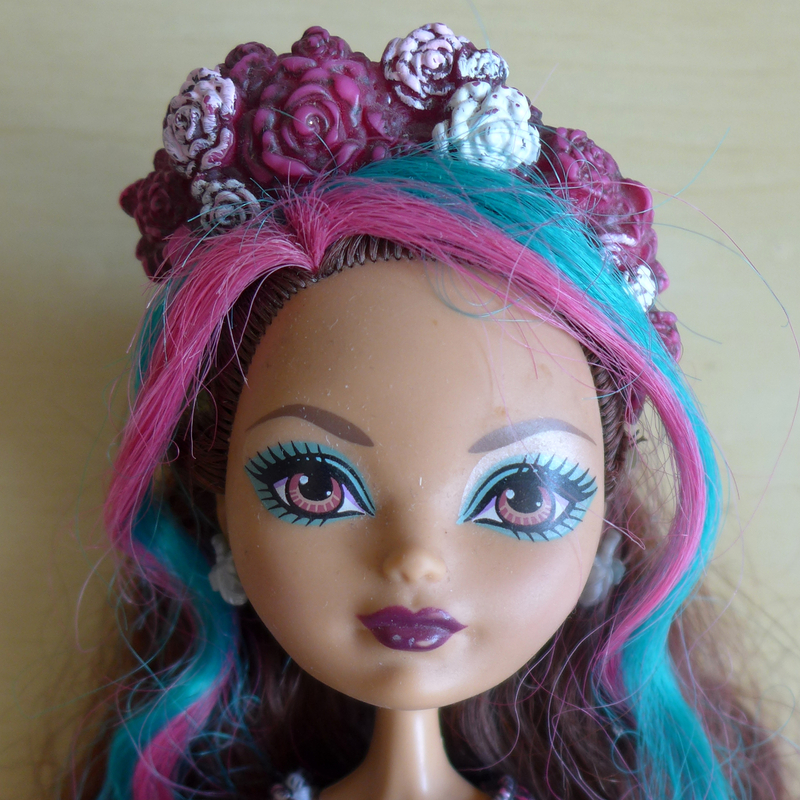 Not long ago I barely remembered a doll like this existed and I never felt the need to own her, but now I am so impressed by her rich, extravagant design. 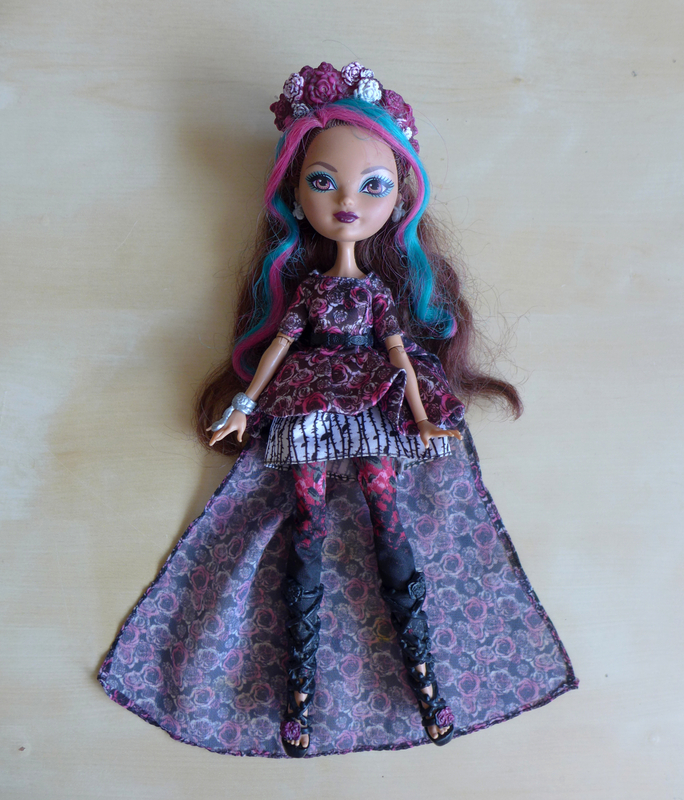 This doll has helped me to remember and re-experience a better era of Ever After High, so I too don’t mind helping her shine again. If you have been following my posts, you know that the next doll I wanted to eventually add to my collection was… Ariel. I am still hoping to own her one day, but in the meantime I saw a very good offer online for a used Merida doll and I decided to take advantage of it. By the looks of it, the doll was in a good condition, despite probably coming from a child’s collection (she was sold among other children’s toys), and, what is totally unheard of pre-loved kids’ dolls, she had shoes! Alas, my seller thought it was a good idea to send her in a bubble envelope. That’s irresponsible packaging. Even if her hair was in a decent state at the time she was put out for sale, it wasn’t so anymore after her difficult journey. Deciding to buy second hand I took comfort in the fact that doll hair can be restored if needed, but it wasn’t my plan for this doll initially. Now this necessity was looking me in the face from behind her out of control curls. 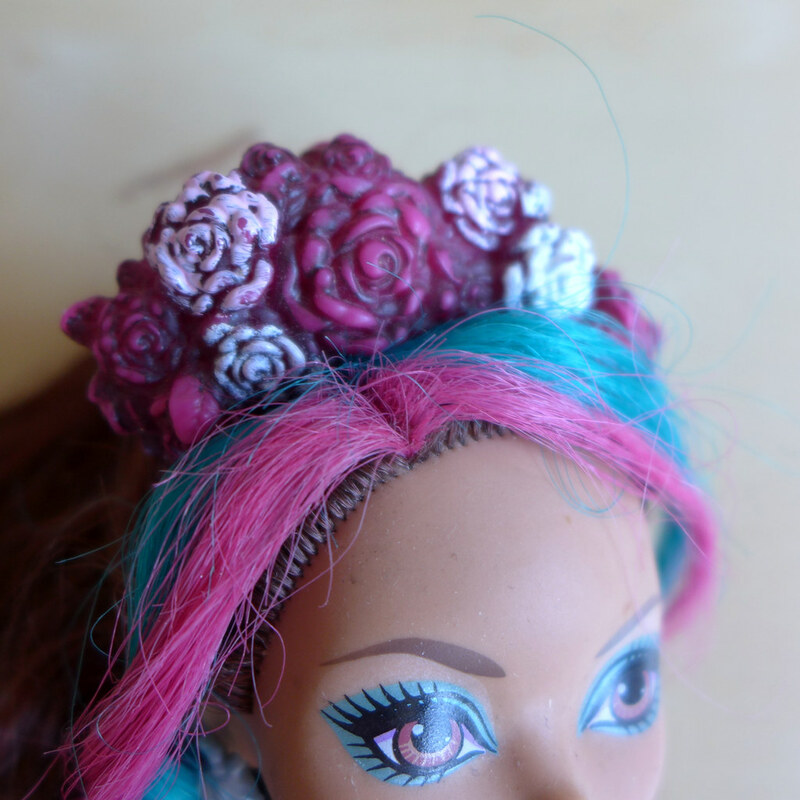 Even knowing that the hair situation is serious, I honestly considered leaving it as it was – at least for one “thrash the doll” photo shoot, because a) it is in Merida’s character to have her hair somewhat messy and not care, b) I knew that if I put a lot work into fixing her, I will be skittish about having her outside doing the very ‘adventurous’ things she is meant to do. 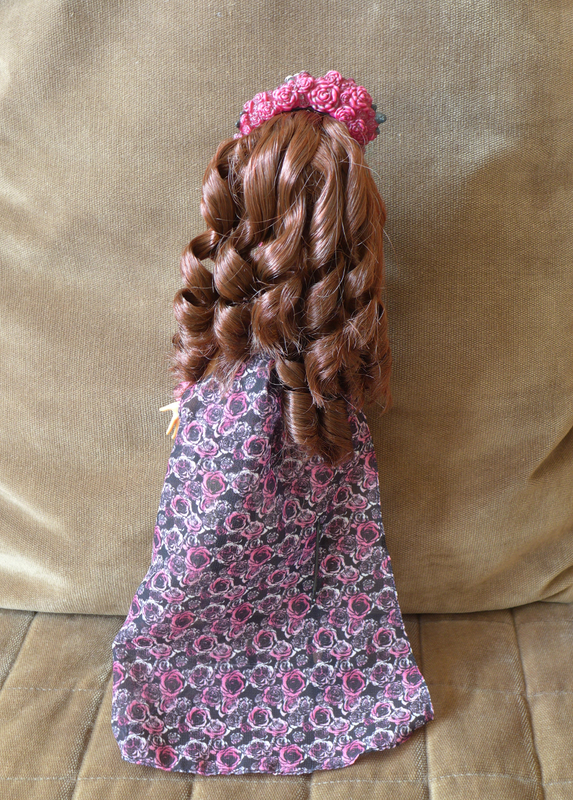 Finally, I decided I had to redo her curls if I were to fully enjoy her as a new doll. I do not claim that the hair is now the best it can be, but it’s certainly an improvement. 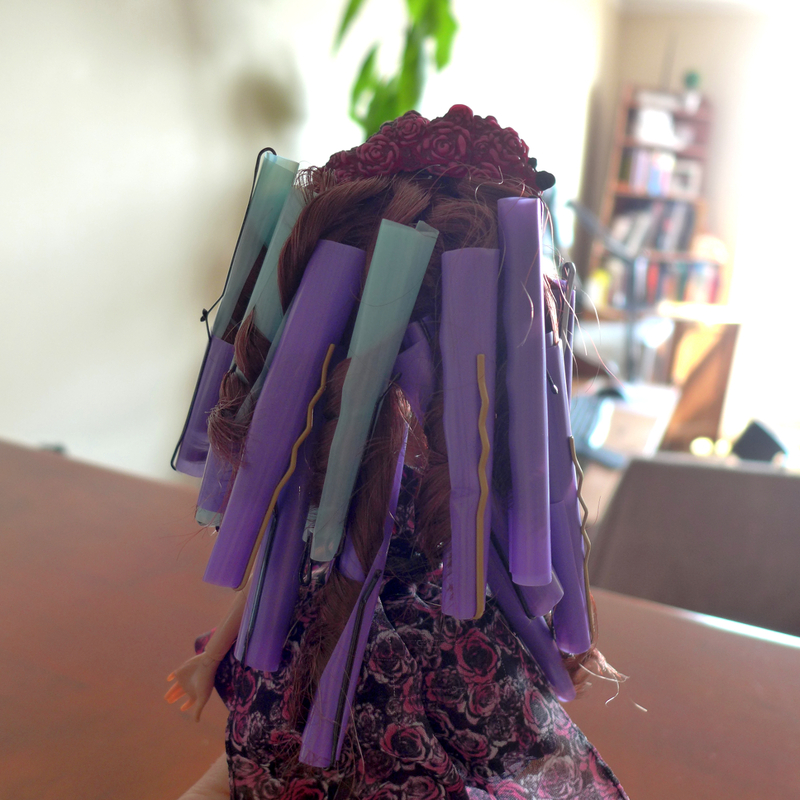 Keeping in mind that I can’t be the only person facing the problem of ruined doll hair I intend to devote a separate post to explaining how to re-do dolls’ curls. Call me a hygiene-freak, but I also scrubbed her clean and hand-washed her clothes and shoes, because it bothered me that I didn’t know where she’s been and what she’s been up to. 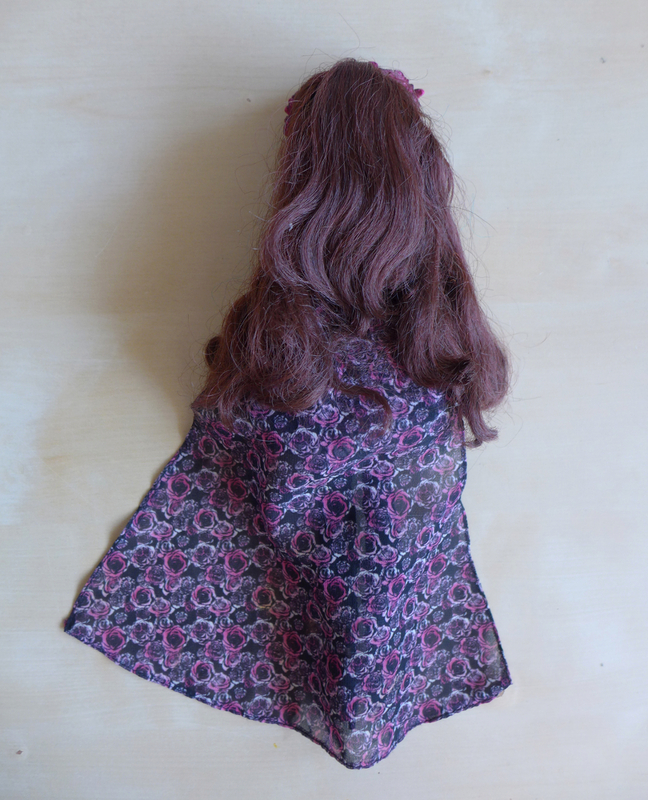 I also ironed her dress on a low setting, avoiding the pattern area altogether, because it was a bit creased. It still is ever so slightly, but I didn’t want to go overboard and ruin it. Now that she is nice and neat I feel like I can say a few words in the way of an informal review. Based on her dress, she is the latest version of the Animators’ Merida dolls – still available at the Disney Store. I believe she is from 2015, but I am not entirely certain. I am overjoyed to have another pair of shoes to match with my handmade outfits, and they are lovely! It’s a great colour which will naturally work with certain blues, provide a pop of colour in more low-key outfits and should be sweet in combination with various pastels. I also like the shape of the shoes a lot – as much as I love Mary-Jane shoes, the ones that most Animators’ dolls wear are a little bulky. It’s not so with these cute flats, the shape is very graceful and versatile. 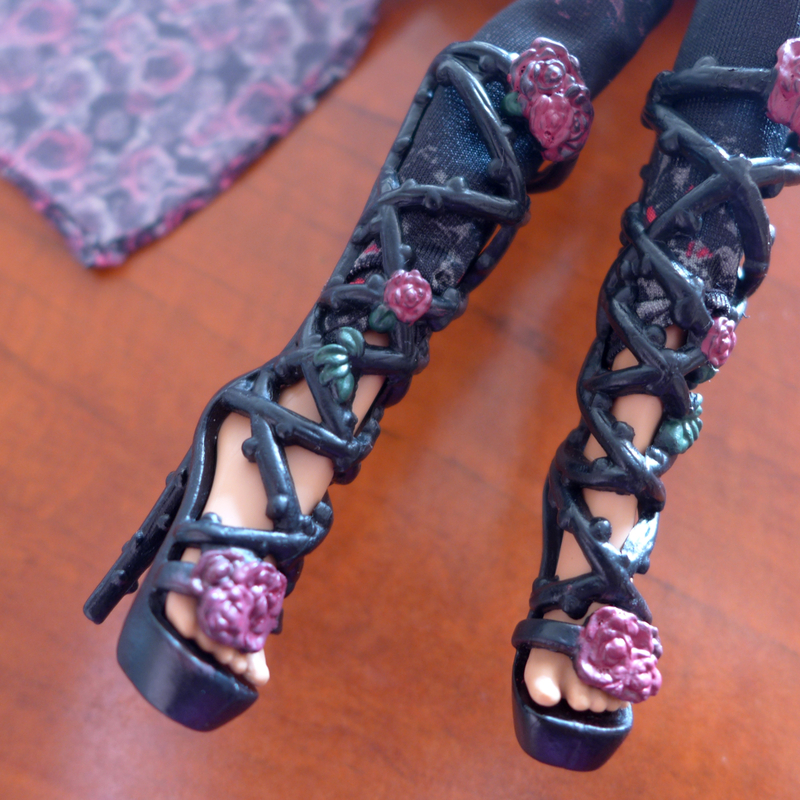 I must admit that these shoes were a big incentive for me to buy the doll. The tights are not elastic at all, which I believe to be the reason why they wrinkle at the ankles. That’s a little unfortunate. Her mischievous smile proves that the creators of the Animators’ series know how to pour the characters’ personality into a doll, in my opinion better than in any other line of Disney dolls. 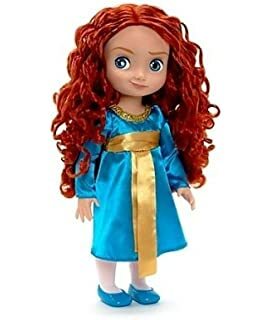 However, she is not only precious as an accurate representation of Merida, she is a fun and unique doll regardless of what sort of character she will be in her owner’s imagination. I am not even a huge fan of Brave, but this little rascal is too cute to pass up.